Burley Model Allotments Association (BMAA) is a self-managed site. That is to say that the site is owned by Leeds City Council but the day to day running of the site is managed by a General Management Committee who are also members of the Association. The Committee meets on the second Monday of each month at 7.00 P.M. However during the winter months these may be held on a Saturday morning after the shop has closed. Members will be advised via email and notices will be placed on the gates and notice board regarding these changes. These changes normally apply from November through to March.These are open meetings and all members are welcome, however standard meeting protocols are expected to be observed by all those attending. All members are asked to ensure they are aware of the Rules and Constitution and any changes to either of these documents may be made at the AGM. The trustees/officers and committee members are elected at the AGM each year and with general Committee Members make up the Committee who are charged with managing the site. If any member is interested in joining the committee and has a particular interest in developing and working with the Association please contact us. Sometimes a situation arises where there becomes a vacancy on the Committee during the course of that Committee's tenure i.e. a committee member has to move away with their job. So that the Committee/ Association does not struggle because of that absence a member can be Co-opted onto the Committee (by the committee members & officers) and will serve until the next Association elections. The co-option of this member is made known to all members so that they can be identified as a bona fide committee member with full voting rights & members can approach them with queries as they would all other committee members. On other occasions an association member may have specific specialist knowledge which is pertinent to a project being undertaken on site & they can be co-opted for the duration of that specific project. In cases such as these it is up to the Committee to decide whether such a co-opted member has full voting rights, voting rights linked to the project, or none at all. This is usually a model set-up and used between a council and a specific allotment group (usually to allow the council to by-pass certain statutory obligations laid on it by the Allotments Act 1908). The owner of the site (in this case Leeds City Council) leases the land usually by means of a land use licence agreement (for a specific period of usually not less than 10 years or up to 99 years). The lease also usually stipulates how the site should be kept. In this type of set-up the allotment Association would be responsible for all the services. The group’s General Management Committee would also see to all the maintenance and management of the site. How does the Committee Structure Work? There are a number of Officer Roles within the Committee (See above) and there are also General Committee members who although have no specific role in the Association are essential to the running of the site. Please refer to the Constitution for the detailed roles and responsibilities of the Officers of the Committee. 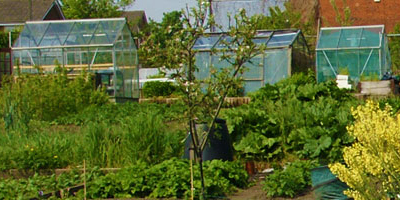 Burley Model Allotment Association is a self-governing allotment site. That means that we rent the site from Leeds City Council and run it ourselves. We try to keep the number of rules to a minimum, but there still seem to be a lot of them. Some come from the Council and some are our own. We have to have some rules and regulations that we ask plot holders to adhere to. By accepting a plot on the allotments you’ll be agreeing to abide within the rules and regulations of the Association. 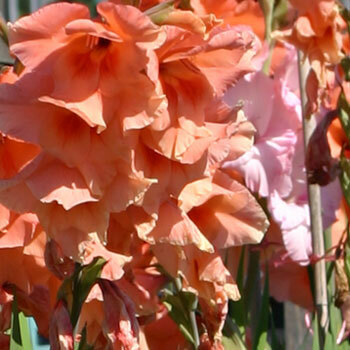 Allotments are generally safe and pleasant places for both gardeners and neighbours. The rules keep things this way. The allotment rules are given to each tenant at the start of their tenancy, and also sent with the rent reminder whenever the rules are changed or reprinted. The tenant is responsible for any person they invite onto the allotments and for making them aware of the rules and health and safety guidance. The Rules are also backed up by the Tenancy Agreement and Constitution. Why is a tenancy agreement needed? The tenancy agreement is a legally binding document, setting out the rights and responsibilities of the plotholder. You will be required to sign a tenancy agreement when you rent an allotment. The tenancy agreement tells you what you can and cannot do with your plot. When renting an allotment you are taking on responsibility for a piece of land, which is entrusted to you. Burley Model Allotments needs to ensure that you will manage the land in an appropriate way during your time as a plotholder, and ensure that the land will be in a fit state to rent out again to another person if you decide to move on. Everyone renting an allotment plot needs to understand their responsibilities; the tenancy agreement formalises this. It is important that you read and understand the responsibilities in your tenancy agreement and the Rules of the site. You need to conform to the tenancy conditions, not only to protect your own tenancy, but also to ensure that the site as a whole is not brought into disrepute. Burley Model Allotments Association holds its Annual General Meeting to which all the allotments tenants are invited to attend. The meeting is normally held at the front or rear of the Trading Hut in the autumn. (September to November). When an exact date is decided all members will be notified at least 28 days prior to the meeting. Any member may apply to be on the Committee at any time of the year and we actively encourage all new and existing members to join the Committee and get involved with the running of the site. Members of the Association are given an update on the progress of the Association and are also invited to raise issues for discussion relating to the site at the meeting. We would request that if there are any additional items for the agenda please let us know before the meeting. The A.G.M. gives all members the opportunity to elect a new Committee, this is done each year as the old Committee resigns at the A.G.M. and a new one is elected. The Officer positions on the Committee, general committee members and the Trustees are elected at this time. The A.G.M. also gives members a chance to review and make any necessary changes to the Rules and Constitution of the Association. Again all our members are encouraged to read and review these documents (these can be found in the Library) on a regular basis and if there are things that you think should be changed or added please contact the Secretary. This year’s Annual General Meeting will be held on Saturday the 28th October 2017 at 11.30a.m. outside the Trading Hut. The running of the site for example is the site managed as you would like? Would you want a more rigid or a relaxed approach? These are questions as members of the Association you need to consider when attending the A.G.M. other questions include, what would you like to see done? Are there any changes we can make? Are there some small but important things we are, or are not, doing? Finally what about improvements to the site, what improvements would you like to see done? We are aware that the main gate to the site (In Lumley Place) and the top gate on Beechwood Crescent are the last one’s we need to renew. Are there any other improvements big or small we need to make? There may be lots of other things you want or need, please let us know what we can do to help make the site a better place for you and for your family and friends. As ever there are many ways you can let us know your feelings regarding the site and by now you must know them all; you can email the secretary using the contact us page or write to us at the Cardigan Centre or call into the hut one Saturday morning and have an informal chat over a cuppa. You can also use the upcoming Annual General Meeting to raise any issues you have and this should be done in writing to the Secretary 28 days prior to the meeting so that any item can be added to the agenda. We look forward to hearing from you. The Chair will outline the procedures that the A.G.M. will follow. This will outline the achievements and any disappointments of the year. This will provide a detailed report on the finances of the Association. At this point the outgoing Committee will all resign and a new Committee will be elected. The Chair of the A.G.M. will manage this process. Should you wish to make any changes to the Rules or the Constitution these are welcomed both are seen as living documents in that they should be challenged and move with the times. Any nomination or changes to the rules or constitution must be sent to the Secretary (in writing) or by email at least 28 days before the A.G.M. please use the contact us page. "Seen it all, done it all, can’t remember any of it." "Efficiency is a highly developed form of laziness."